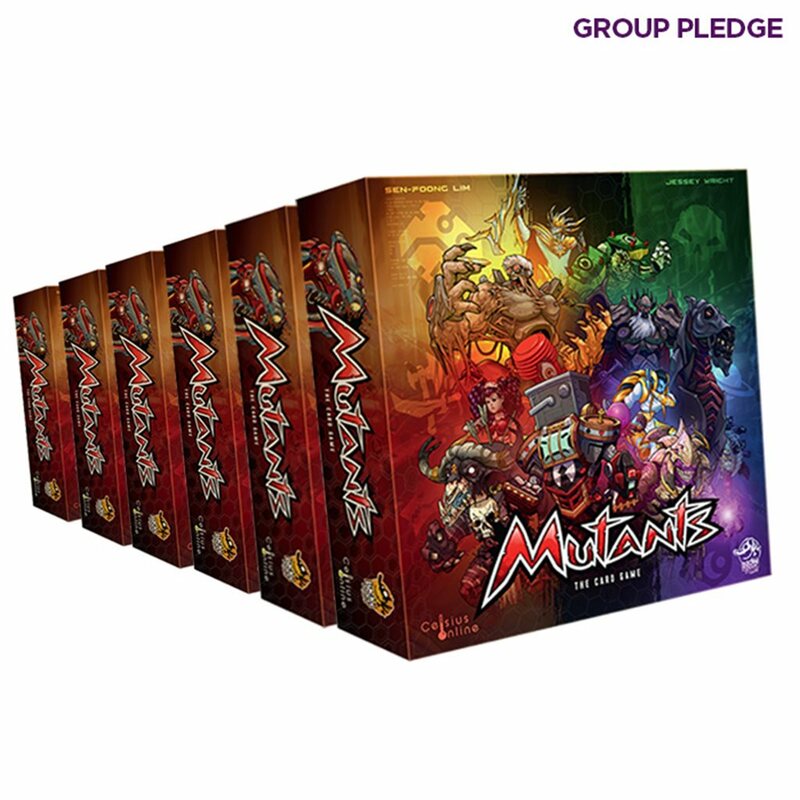 Mutants is an innovative deck-builder where players lead a team of genetically modified gladiators. Choose the Group Pledge to get SIX (6) copies of the game at a lower price! Mutants is an innovative deck-builder where players lead a team of genetically modified gladiators. Starting with a fully symmetric hand of cards, players have 5 rounds to breed the best possible gladiators from their asymmetric, uniquely crafted, gene pool and impose their strategy to the Arena! "We love the asymmetrical nature of the mutant decks of cards!!"